If you are considering setting up your own at home aquarium you might be wondering the type of fish that you should add to it. There are several types that are perfect for beginners to keep in an aquarium at home. The most common type to keep at home is a gold fish. This classic pet can be various colour and sizes, as not all of them are orange. Some of the more visually stimulating goldfish have fanned tails and bubbly heads. Taking care of goldfish means ensuring that the water in their tank is between 62 and 74 degrees Fahrenheit. Every week an average of 10% of a goldfish’s water has to be changed due to the fact that they tend to make a mess when eating. Other fish suitable to keep in an aquarium at home include bloodfin tetras. These fish are small and silver, with red fins. The lifespan of a bloodfin can be as long as a decade, making them a great pet. As one of the more active type of fish, they can be very entertaining at times. It is important to note that bloodfin thrive with other bloodfin fish and are more entertaining in groups. A bloodfin fish in the tank by themselves will likely act shy for most of their life. The White Cloud Mountain Minnow is also good for a home aquarium. These small fish do best in cold water and can even be kept in an outdoor pond during the summer months. When living in their tank in your home they are happiest in groups of at least six of them. In fact, when they live in a tank with other minnows they are brighter in colour and can have a lifespan of as long as five years. You will notice that they spend most of their time steering away from the bottom of their tank, as they prefer to be in the middle or even at the top. For a freshwater aquarium, your ideal choices in fish include danios and black molly, among others. Danios are excellent if you have never owned fish before. Though they are very small, they are also very active. You can fill your aquarium with them because they prefer living with other danios. The black molly is one fish that gets along well with other types of fish. If you purchase two or more of them, make sure you purchase the same gender unless you want baby fish in your tank. If you do decide to mate them be aware that they are known to eat their young if the babies don’t have their own place in the tank to hide. Each of these types of fish is ideal to start with when you are setting up your first at home aquarium. They are easy to care for and you will find that most of them can provide you with daily entertainment, keeping you fully engaged in their life. If you love fish, then you’re not alone. Millions of people are captivated by the innocence and beauty of fish. If you’re so in love with this species, then you may want to consider buying an aquarium. This is a place where you will be able to store and keep fish. But there are a few considerations that you must have in mind before purchasing an aquarium. Below, in this article, you will find all the information that you need in order to get the perfect fish aquarium. Arguably the most important element of the fish aquarium is its size. This should be one of the first things that you will consider if you plan on purchasing an aquarium. The fact of the matter is that we all have limited space in our homes. So, you will need to pick the exact location for your aquarium and determine the perfect size. There are small-sized aquaria, medium-sized aquaria, and big aquaria. Depending on your preferences, you may pick either one of them. Then there’s the quality of the aquarium that you must consider. If you wish to have a long-lasting aquarium with fish that will enjoy living in it, then we suggest you find a high-quality aquarium. There are many horror stories that we have heard of people that bought cheap aquaria. One day the glass cracks and water starts spilling out. The fish all die. What happened? You bought a cheap, low-quality aquarium – that’s exactly what happened. Even more so than that, you need to pay attention and buy a top-quality filter. The filter is arguably the most important element of any fish aquarium. It needs to be powerful enough to filter out the toxic materials that tend to accrue in the tank. If one day it starts to malfunction and not clean the water – then the fish may all die. You really need to consider the fish’s perspective as well. Sure, most people think that fish are very simple creatures and that they have no preferences for what to do whatsoever. But this isn’t the case – far from it. Fish live in their own microcosms as well. They have needs and preferences. And the way you will decorate your aquarium will have a powerful effect on how the fish go about living their lives. So, make sure that you investigate a bit about what kinds of fish you will want to get. Then study what they need and decorate the aquarium accordingly. All in all, you have most of the information that you need when it comes to getting an aquarium. Be mindful of the size of the aquarium and of its quality and you will do just fine. There are many different kinds of aquaria that you can choose for your home. The most important thing of all is that you get something that you will like. Something that will stand out in your home and that will make it prettier than ever before. Last we also just want to recommend the lake district in the UK for fish and aquarium lovers. There is a lot to see out there any much wildlife that you do not want to miss out. Here is a collection of great links that will get you started. Enjoy the rest of your day and hope that you will check out our recommendation. An aquarium gives you the chance to bring the ocean to your lounge area. However, not everyone achieves this goal. Some end up in disasters that one would better forget. Experts believe that it is possible to turn aquariums into beautiful and rich oceans. Here are some of the tips they have given. Get a sizable aquarium for your lounge or room. 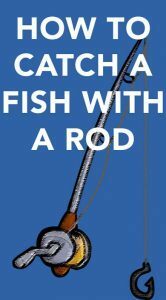 Avoid the tiny ones that can only accommodate a single fish. With a large aquarium, you can include a lot of vegetation, soil, rocks and more fish. Small aquariums are very restrictive and will only let you down when you need to transform your living area. 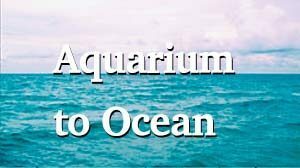 Aquariums do not occupy a lot of space. It is the positioning that determines the amount of space to be occupied. Get a creative professional to do the installation for you. You will be amazed at the size of aquarium you can install inside your house. Not all kinds of fish can fit into an aquarium. You need to make the right choices. Some are too big while others are not used as pets. The ocean offers a mixture of fish species. Consider mixing several species to crate a beautiful view. Be cautious to ensure that the species are compatible. They should also live comfortably within the same environment. Where they fight or one lives in salty water while the other lives in fresh water, it will be impossible for them to co-exist. One may end up dying or even both. Consult your local veterinarian and specialist of fish or aquariums. Explain your idea and allow for modifications based on professional input. This guarantees a healthy and vibrant aquarium. Filters make your water healthy for the fish installed. They clean the water as well as provide oxygen to allow different species to live within a certain area. Install filters that are appropriate for the size of your aquarium. The filters should have the capacity to clean the water. Vegetation transforms water and the entire aquarium environment. It cleans and freshens the water besides making it habitable for the fish. Vegetation should be added alongside soil and rocks. They provide a natural environment for the fish. It also makes your lounge to appear natural. A healthy and vibrant aquarium required professional installation and regular attention. The choices you make will determine whether it serves its purpose or not. You need to invest in the aquarium for it to product the results you envision. Aquarium hobbyists have big dreams and expectations about their pets but they do not necessarily come to be. This is because of fatal mistakes that they make as beginners. Some of these mistakes are avoidable because they come from misinformation. Here are serious mistakes that can be avoided and will ensure that you have the best pet fish experience. The desire to have an aquarium should not override that of having a quality and beautiful one. Hobbyists fail to ask for information or get it from the wrong people. Have patience when setting up your aquarium and ensure that everything is done right. This will eliminate headaches and frustrations that come when your plans do not work. Like human beings, fish have the potential to overeat. Know the right amounts to give depending on species and age. Pouring a lot of food into the tank causes them to over-feed which results in defecating and poisoning of the water. Follow instructions provided on the food and by the veterinarian. The feeding intervals should be once of twice a day. Pet fish require enough space to live a comfortable life. They need space to move and also clean water that is not surrounded by waste. Each adult fish is entitled to 40 liters of water. Filtration of the water will help you clean the water and provide oxygen but it will not provide the space required. The fish species chosen must be compatible with each other. If they fight or require different water conditions, their performance will be affected. Plants are used to clean your water by removing nitrates. In the absence of plants, it means that these nitrates are not being removed. This will result in poisoned water that is likely to kill your pets. Each aquarium should have the right amounts of plants. Removal of nitrates makes the water nutritious and tasty for the fish. 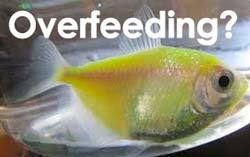 Fish are living things and require regular medication. However, this medication should not be too much. A lot of medication poisons your water. Some pet fish owners fail to provide medication to their fish. This leaves them exposed to diseases and pests. Consult your veterinarian on appropriate medication for your pets to keep them healthy. A healthy aquarium produces vibrant and beautiful fish. It reduces the level of attention demanded by the fish while increasing their activity. Regular consultations with your veterinarian will keep the aquarium in perfect working order. An aquarium is a hobby that suits the vast majority of people, and can also provide fun for hours. There are fish and aquariums for all varieties and flavors and it is only the imagination that sets the limits. But it’s not just getting an aquarium, pouring into water and throwing in the fish and thinking everything will work out well. Aquarium purchases are accompanied by a large commitment. 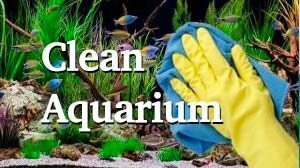 To simplify for those who will or just have an aquarium, we have compiled this page with care tips and tips to make it easier for you; as well as giving you the chance to avoid making all the classic novice errors that so many others have done before you. Buying an aquarium in a haste will never turn out good. The first question you should ask yourself is: Do I really have time? An aquarium requires care and care for its inhabitants to feel good. How much are you prepared to commit to your aquarium and the animals that live there? Where should it be displayed? Does the insurance cover if the aquarium would leak leak and 100 liters of water runs out over the parquet floor? Nevertheless, it is your responsibility for the fish to feel good and have a healthy life. Once you have decided that you are ready for a purchase, you should consider what type you want. There are of course a variety of different ones. Everything from small coupons to large furniture varieties. Feel free to mail us and ask for a good starter package that suits your taste. Many beginners who want to start up with aquariums want to start with something easy, and maby have decided to get a goldfish or something in those lines. What many don’t know, is that a goldfish bowl of about 12 liters is harder to handle than an bigger tank of around 300 liters. The reason for this is that in a small bowl it is much more difficult to create a good balance for the fish, than in the larger aquarium because of the constant water changes that disturb the balance. This means that the fish are at greater risk of getting ill. For beginners, we recommend getting a tank of 60 liters or more to get a comfortable start of your new hobby.